Time for another band from Dutch soil. This time Amsterdam based Bombay. Long ago the title of a fantastic single by Golden Earring, the city where John Irving placed one of his fantastic books and the former name of Mumbai, the largest city in India. So there's is some legacy to carry when calling your band Bombay. Even if it is abbreviated from Bombay Show Pig. 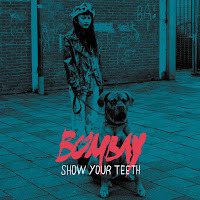 Show Your Teeth is Bombay's second album after 'Vulture / Provider'. With the new album comes a new drummer, Lisa Ann Jonker. As this album is the first of Bombay I'm exposed to, there are no comparisons, so I can focus on what is on offer in 2016. The previous effort was on my to do list, but dropped off as some albums unfortunately do. The first thing I notice is the legacy of Caesar that is all over Show Your Teeth. In 'Sea' that influence is so obvious. The slightly treated singing and the alternative/indie rock trio sound that is all over the song. From there things like Avi Buffalo move in as well and other U.S. indie bands. In 'Sea' Mathias Janmaat, singer, guitarist and songwriter of Bombay, is clearly going for the title of alternative/indie pop songsmith. Nothing can be taken for granted but there are overt hints at pop here, without sidestepping to too commercial territories. There is no easy way out for Bombay. Despite the fact that some elements in the music hint at prettiness, over most songs there is a layer of carefully adjusted dust covering up anything that could be called hi-fi. 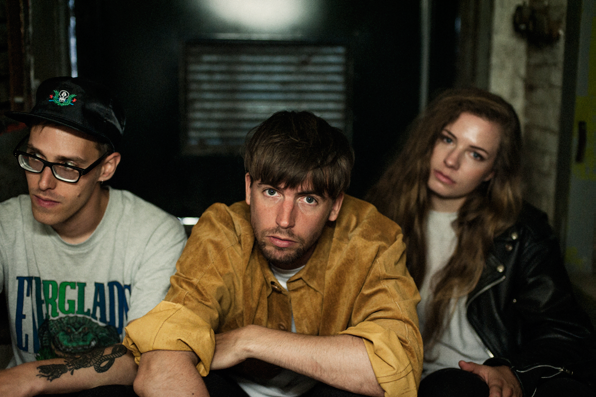 In fact Bombay shows elements of the perfect pop that an artist like Royal Parks is able to write, but the lo-fi elements tend towards alternative. Do I mind? In a way, yes. Listening to Show Your Teeth I very strongly have the idea that the album would greatly benefit from a better sound. As I have to presume that the lo-fi sound is a conscious choice of Bombay, I will start listening with that in mind. From that moment on a song like 'Love Your Enemies' truly warms me. It stands any test to any U.S. band from Cloud Nothings to Avi Buffalo, no problem. The extremely high sung oohs and aahs on that band's first album come by regularly on Show Your Teeth. At times Bombay gets very close to its favourites. At the same time several songs hold their own easily. The more upbeat 'Kids' comes right in time. The busy drums, the keyboards and lead guitar. All work for this song and lift it up. 'Slow Motion' is obviously the centerpiece of the album. The second song that has to really draw the listener into the album. In this it totally succeeds. It is very direct, in your face, indierock danceable and fun. 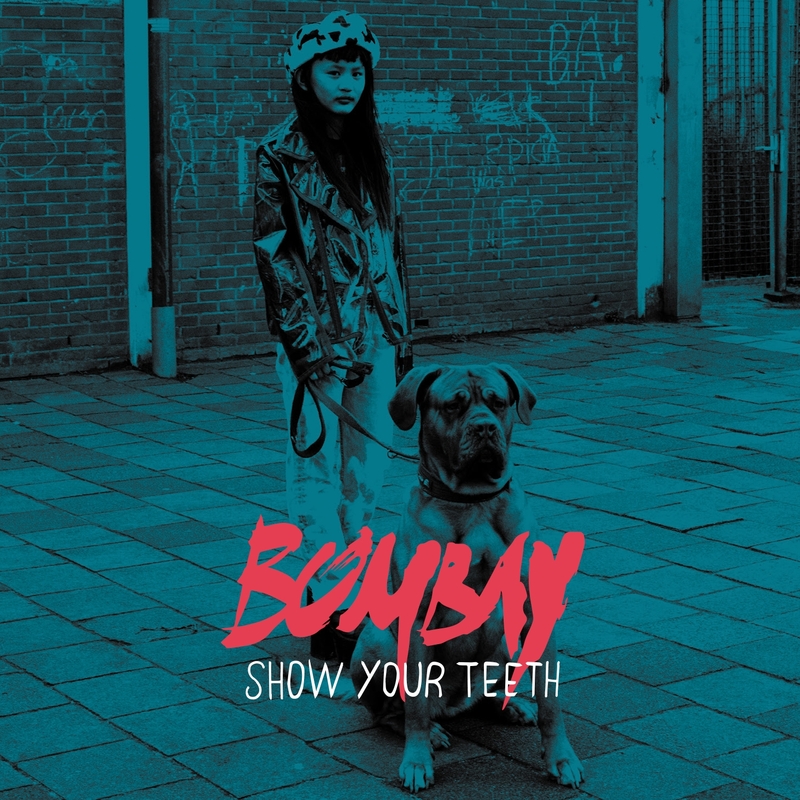 Bombay shows that it can rock out and the indie background vocals add to the authenticity. Taking it all in, I still can't suppress the thought that the album would have benefited from a less rigorous lo-fi recording process without taking any of the indie out of the songs. Now at times a song is almost mono so dull is the sound. The songs of Bombay hold a promise though as most are good and may just grow more on me than they already did. Show Your Teeth is a choice and not a missed opportunity. Still it is going to be interesting to hear what the future brings.